All websites have a goal. 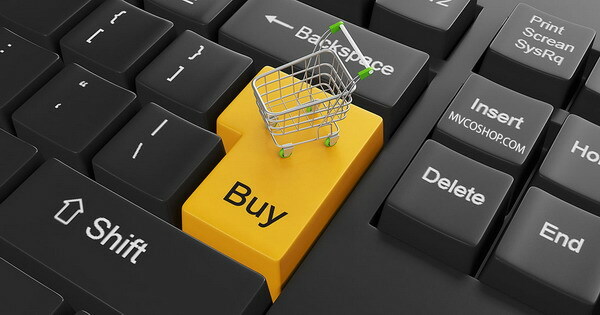 The goal for an e-commerce site is to convert visitors into buyers. So, the question is what can they do in order to convert more of their visitors into paying customers? A/B testing, which is also known as split testing, is a comparison between two versions of a webpage or application against each other in order to determine which one performs better (gets more sales). Data and statistics are used to validate new design changes and to make decisions in order to increase your bottom line. Ready to start increasing your conversion rates? 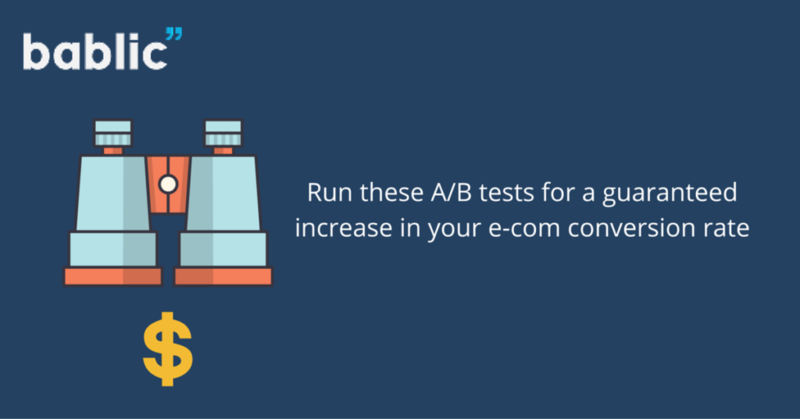 Here are some recommended tests that should help you grow your ecommerce site. The headline is your value proposition. This means that it must catch the reader’s attention within 5 seconds and of course give the proper message. If your title doesn’t sell your desired action, then your visitor isn’t going to engage further with your landing page. A Scandinavian Outdoor Store tested their plain version with a more compelling headline and bargain pricing text. What was the result? A 127% increase in conversion rate. They increased signups by 38% too. So, what should we remember? Your headlines should transfer critical information to the user effectively and succinctly. Extremely important to A/B test your drop-down menus and see which performs best. Even though drop-downs are considered to be an essential part of every e-commerce site, they annoy customers a lot, especially when browsing from a mobile device and to the older age group or people with disabilities. So if your audience is closely related to that group of people then you may have to consider removing the drop-down menu, but of course, test it first. For example, Casa Mineira is a real estate company operating in Brazil. 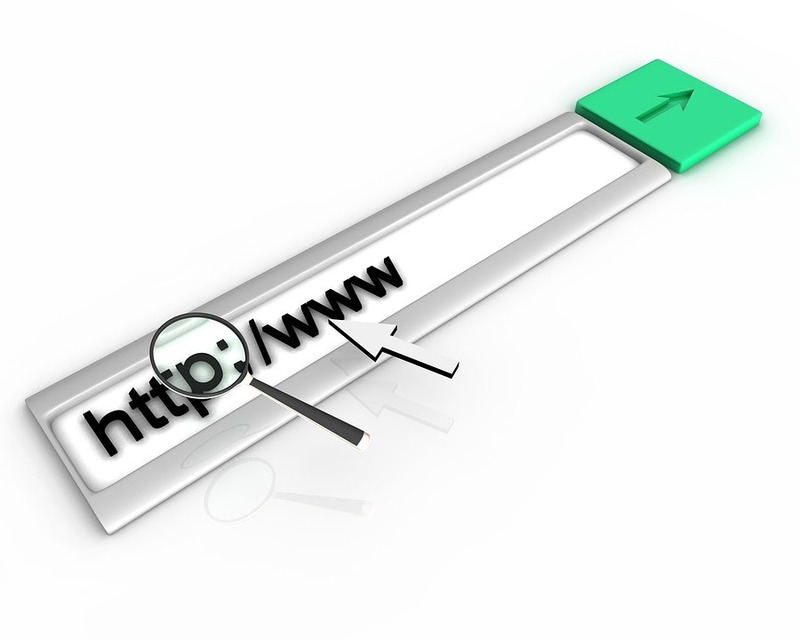 In order to improve the conversions on their website, they set up a split URL test and about 7,500 visitors took part in it. The hypothesis was that increasing the usability of the search box by giving users clear choices will lead to more people giving their email ids to be approached by one of the brokers from Casa Mineira. The variation outperformed the original homepage and brought the company 57.25% more leads. Your CTA buttons are some of the most important things in your whole e-commerce operation. The 1st and obvious tip is to make sure it’s a button and not some text with a link. Once you got that out of the way the trick is to fine tune the color, shape, message and size of your button. CTA buttons have a very specific goal: to get your web visitor to click. Your button color matters. It matter a lot. In fact, if you’re going to take only one tiny single piece of advice from this post, it should be to give careful consideration to your button colors. Generally speaking, green and orange buttons are reported to perform best. Ultimately though it will depend on your site design, as contrasting colors work best to make striking buttons that stand out. You wouldn’t want a green CTA button on a green background. If you’re not sure what looks best, you can run a super sophisticated squint test and see what comes off as most appealing. However, if you really want to know what color CTA button will work best on your page, testing is the only way to go! Another A/B test connected to the call-to-action buttons is the text on the button. Try testing “Buy Now” VS “Add to Cart” and see which one will bring you a better conversion. You can even go out of the box and make the text even more targeted, for example if you sell coffee beans online you could use something like “Brew it!” instead of the generic “Buy it!” version. Careful with that, it strongly depends on your niche and your audience, what works for others may not work for you. A picture is worth 1,000 words. This especially applies for the images on your landing page, homepage and product page. It’s basically your first impression and we all know just how much that matters. Once you pick your starting image, you’ll probably want to A/B test it with different versions. Use Adobe Photoshop to quickly create different versions, or even an online pic designer/editor such as Canva. When testing images it’s important to make small and large changes. Meaning you can test an image featuring a real person vs a cartoon/illustration character/person and see how that performs. You should also do smaller changes for example the messaging in your image, or the background color. What’s important here is to always be testing and of course, track conversions and tests properly. A harder but definitely important test to run would be how you recommend products and feature related products to your customers. For example, currently you may be showing related products for a certain product from it’s same category. Let’s take a shirt, if someone’s on the shirt’s product page, you’ll recommend other shirts. That can work, but how about testing it vs an item that complements the shirt, for example a necktie or even a belt. Sometimes that performs much better and sometimes it doesn’t, again it depends on countless factors but the only way to find out if you’re leaving money on the table is to test those things. Not your average/obvious A/B test but one that has actually proven time after time to be profitable, adding more languages to your website. The idea here is to test your whole selling process and finding a market (location + language) which converts better and lowers your CPA (Cost per Acquiring a customer). For example, if you’re selling Nike shoes on your English website in America, you may want to test selling Nike shoes on a Spanish version of your website and targeting Spanish speakers in the USA, or even better, try selling in Spanish to people from Spain. Advertising to Spain costs way lower than to the USA, you might find yourself with a much more profitable business model if you just take the time to test different languages/markets. This kind of test used to be much more complicated and therefore reserved for bigger businesses/operations. 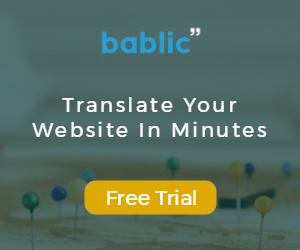 Fortunately, there are new companies, including ours (Bablic.com) that now allow you to easily translate your e-commerce website. 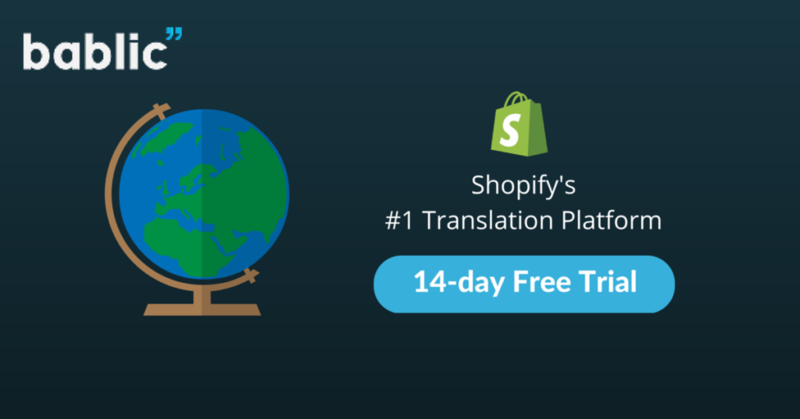 We offer a 14-day free trial, no credit card required, and if you’re using Shopify we actually just launched our Shopify Translation app and users are seeing great results. Definitely worth a try, need any help getting set up at all simply email [email protected] – we’ll be happy to hear from you! Start this test to find out what’s attracting your customers more. Some e-commerce websites have increased their conversion by simply swapping the content in their columns from right to left and vice-versa. In this type of test, two scenarios are tested that are identical with the exception of one variant. Tests are then run for the variant against samples of the same audience. For example, a marketer may send the same email offer to sample groups, in his control version he’ll feature the product image and buy now button on the left-column and in his variant (test version) he’ll showcase the product image and buy now button in the right-column. As long as the samples for each test are large enough to provide statistically significant results, the results may be used to make important business decisions. Your product images are worth more than a 1000 words. They could be worth a 1000 more online sales. You probably know that larger, high-resolution and high-quality product images increase conversions. 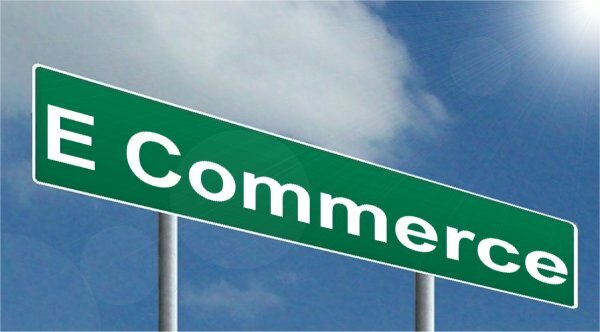 But do you know that giving your customers 360° view of your products will increase conversions even more?Especially when done properly, 360° product views convince people to buy your product by giving them a chance to get a better look at it and thus stops them from having any doubts about what they are buying. I recommend you to try the “Snap36” website and turn your images into POWERFUL SALES TOOLS. 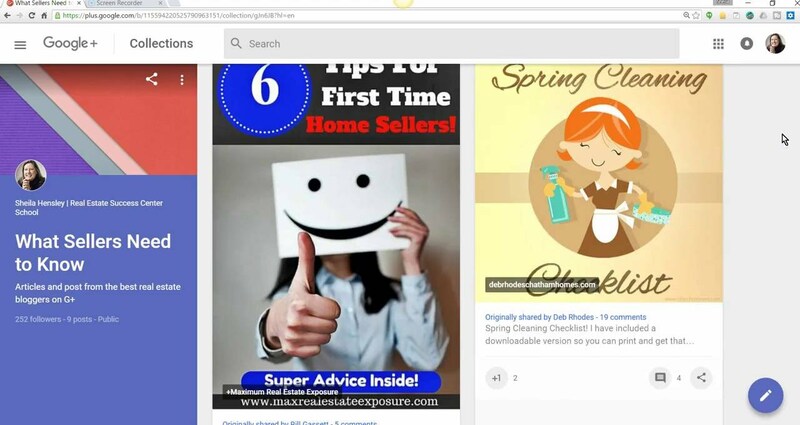 You can do this testing by using Behavioral Targeting which is considered to be the most underused technique in today’s marketing, meaning if you’re part of the first-generation of e-commerce sites who start using it you’ll have quite the competitive advantage. An example would be to offer a message to visitors based on their location. If someone comes onto your site from Australia for example, it would be nice if you had a message offering Free Shipping to Australia, it can be even more effective than a generic Free Shipping message. It creates personalization, your visitor right away feels a connection, like you’re catering to his needs, it comforts them and builds trust almost immediately. Try testing the way you are quoting your prices. A study published in the Journal of Consumer Psychology has shown prices which include commas and cents can change how price is perceived by costumers. Just imagine that a research from the Journal of Quantitative Marketing and Economics has proven that prices ending in the number 9 were so effective that they were able to outsell lower prices for the exact same product line. Start testing today and use that to your advantage. We all know charging for shipping is the best way to kill a conversion. But if you are one of those that charge for shipping let your customers know that in advance, meaning quote the shipping price before they proceed to the checkout and realize that they are being extra charged. However the best way to get a conversion, in case you haven’t realized, is to provide a free shipping. This is a perfect case for A/B testing. One company, “Yuppiechef”, did this test and found out that removing navigation menu doubled their conversions. As far as designing the variation is concerned, the hypothesis was that the option without the navigation bar would provide fewer distractions, and help the user focus on the primary reason they had landed on this particular page. This is an easy A/B test with which you can test showing text suggestive of the range of products your site offers or the ways search can be used vs test showing a search CTA (Call to Action) and the value of an icon CTA vs. a word CTA. You can get deeper into search bars by testing different versions for your mobile or desktop experience, font, colors. Do you put the label inside the field or outside, on top or to the left, it’s endless. Some of these may not greatly impact a smaller site but can do wonders for a larger operation. Then again, the smaller sites are the ones that desperately need to increase conversions so it can be worth a try. A survey was conducted to know the security seals that are most effective. The respondents were asked which single logo gave them maximum assurance. Put recognizable security seals because having security logos that are not recognized or trusted by customers are almost like having no logos at all. The testing that can be done here is to test which seal/badge performs better with your audience, depending on their age and location it can greatly vary. Thank you pages are often ignored when people talk about increasing the conversion rate of a website, simply because they’re happy a sale has already been made, what’s the point in investing in what comes after. Keep in mind that not optimizing your thank you page is similar to asking people to leave your home. You can offer lots of different messaging on your thank you page and you definitely should. It’s the time they are most focused on you, they just gave you their billing details and their trust, a cheap thank you isn’t going to cut it. Test different offers, discounts, coupons, social sharing, referral programs and so on. You’d be surprised at the results that can be achieved from a well thought out thank you page. A Forrester Research study have shown that 44% online consumers want live chat assistance when they are in the middle of a purchase. This way they can ask questions related to their purchases. Many e-commerce sites put FAQ on the websites but this is not as good as having a person answering your questions. Keep in mind that not every customers inquiry is answered in FAQ. What I must note is real estate on your page is extremely valuable, you need to test to see if giving some to a live chat widget is worth it. Does it increase conversions? For all you know it may be bothering the user experience, it’s just another thing that takes attention away from your ultimate goal, them buying something. Especially on mobile devices where there’s even less room for unnecessary widget. One thing’s for sure though, if no one’s available online for customer support on live chat, hide the widget. 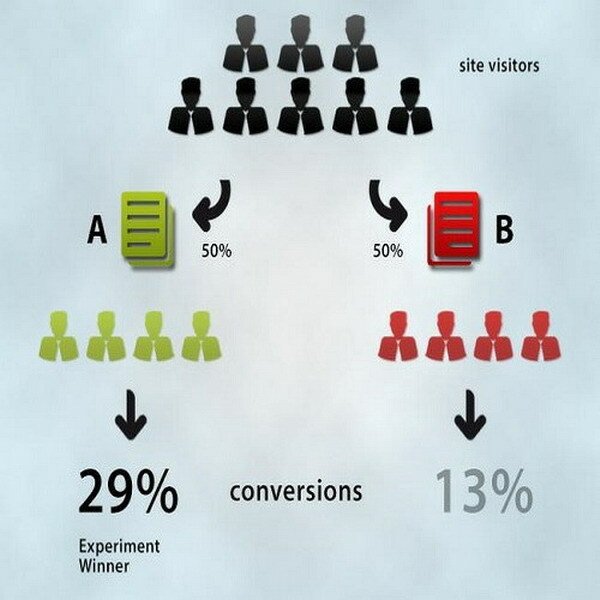 Study these 17 A/B tests carefully and use them in order to improve your e-commerce site. Keep in mind, you need to give the test a chance, meaning if you don’t get lots of traffic you need to let the test run for longer periods of time. There are tools online that can help you make an educated decision based on how much traffic you get daily and so on. Document any problems. Test as much pages and things as possible. Don’t obsess about an issue if it does not impact your overall user experience. Browsers won’t ever match exactly, it’s fine, just optimize for the ones being used the most with your audience. We’d love to hear what kind of A/B tests you’ve done in the past and how they impacted your results. If you enjoyed the post take a minute to share it with your friends and followers!